Dave Ratner & Michael Kawochka's listing and open house has been picked as a must see property of the week by the Brownstoner magazine. The Brooklyn Reporter, Brooklyn Daily Eagle, Bensonhurst Bean, Yahoo Finance, Market Watch & Business Review featured The Ratner Team and its creative open house approach, which featured Santa, a photo booth, fresh homemade cookies and hot cocoa at a live event in Dyker Heights. Dave Ratner is one of the contributors to the new Think & Grow Rich movie. Dave was gifted the book by best friend Alex B. He contributes it to his amazing success, and regards it as the #1 most inspirational work, and remains his favorite book. An absolutely must read book, and must see movie for everyone. 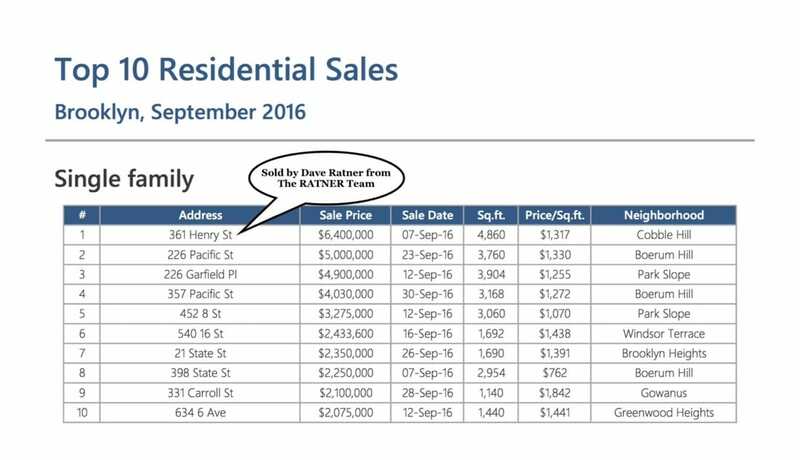 Dave Ratner & Carlos Irizarry's 13 unit residential building sale in Bushwick was mentioned in the Real Deal. The apple doesn’t fall far from the tree, although sometimes not exactly under it. Queens, his multi-billion dollar holdings include more than 100 properties and are virtually entirely retail. If he buys a residential building, such as the one he did at 332 West 125th Street, it’s with an eye for retail conversion. But his 24-year-old son Joseph, instead of keeping his eyes on street-level storefronts, is taking a look upstairs at the apartments. Joseph Sutton acquired three residential properties this year, and has his eyes set on more, according to property records and industry sources. Some insiders believe retail prices have peaked, and view residential as a more stable and conservative long-term investment. In fact, Joseph Sitt‘s Thor Equities has put on the market a large collection of properties with brokers saying it’s to take advantage of the high pricing. Dave Ratner appears in Realty 411 Magazine, alongside some of the nation’s top attorneys to discuss what leaders in the industry are doing to help protect consumers, and how buyers and owners can stay safe from real estate fraud. Feature begins on page 37.